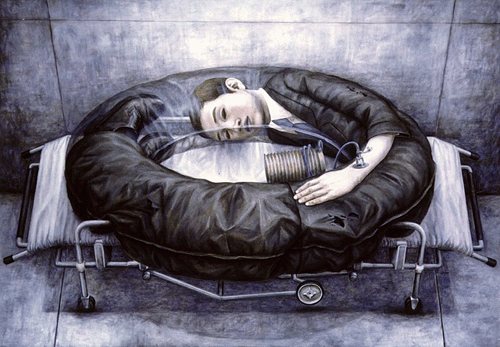 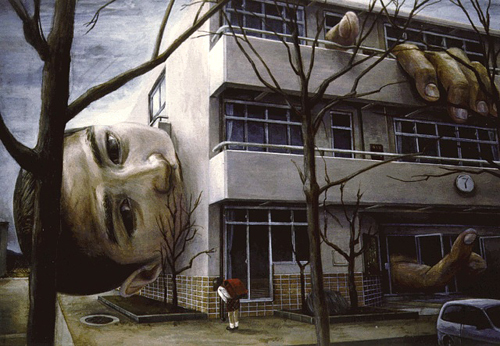 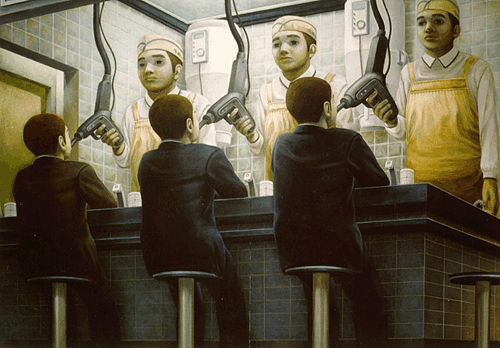 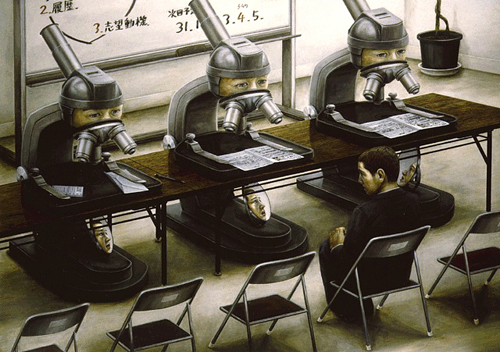 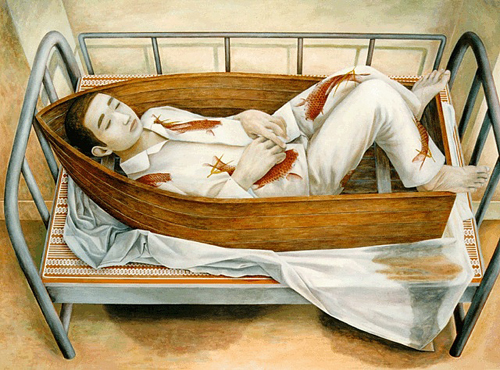 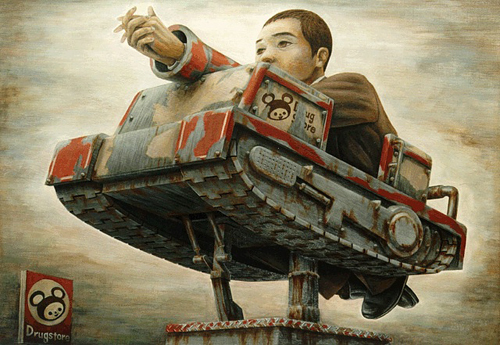 This is some of the work from the late Japanese surrealist painter Tetsuya Ishida. 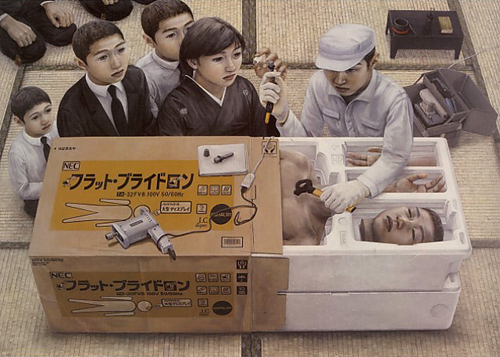 His work is well known for his often dark portrayal of Japanese life. 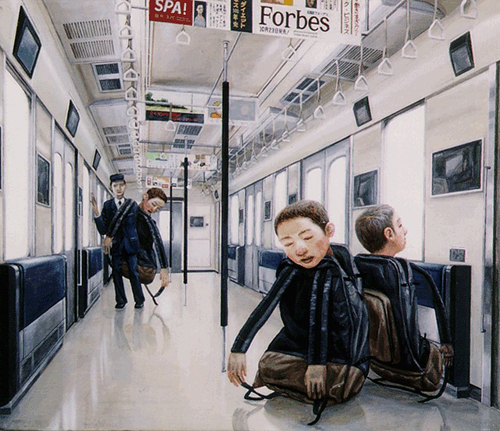 The main character in his paintings is always depicted as being trapped by society and the need to conform. 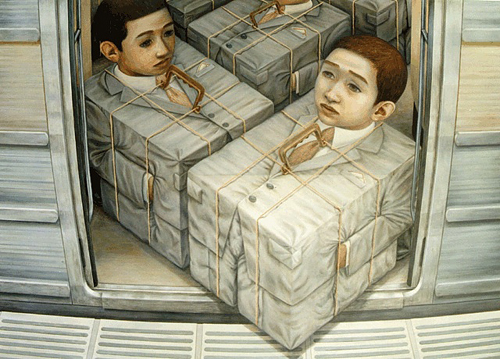 On occasuions he is stuck in a machine-like body, or treated as part of a production line. 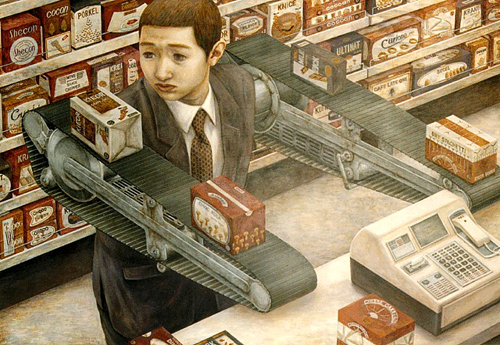 It is a quiet forlorn struggle, beautifully painted, through which Tetsuya Ishida shows his feelings towards modern living.